MRI Compatible Veterinary Monitor - JD Medical Dist. Co., Inc. The MAGLIFE Serenity MRI Compatible Veterinary Monitor monitors all vital parameters during anesthesia in an MRI Environment and the system can be totally controlled from outside the Faraday cage. Even under strongest gradient influence the MAGLIFE Serenity guarantees highest ECG quality during MRI scanning. The patented ECG preparation guarantees a very high protection against gradient artifacts, which makes the MAGLIFE Serenity the ideal device for cardiovascular application. Up to three outputs for vital parameters are available. Both analogue and digital outputs ensure compatibility with all types and brands of MRI devices. The MAGLIFE Serenity is compatible with 0.2 Tesla to 3.0 Tesla imagers of all manufacturers. 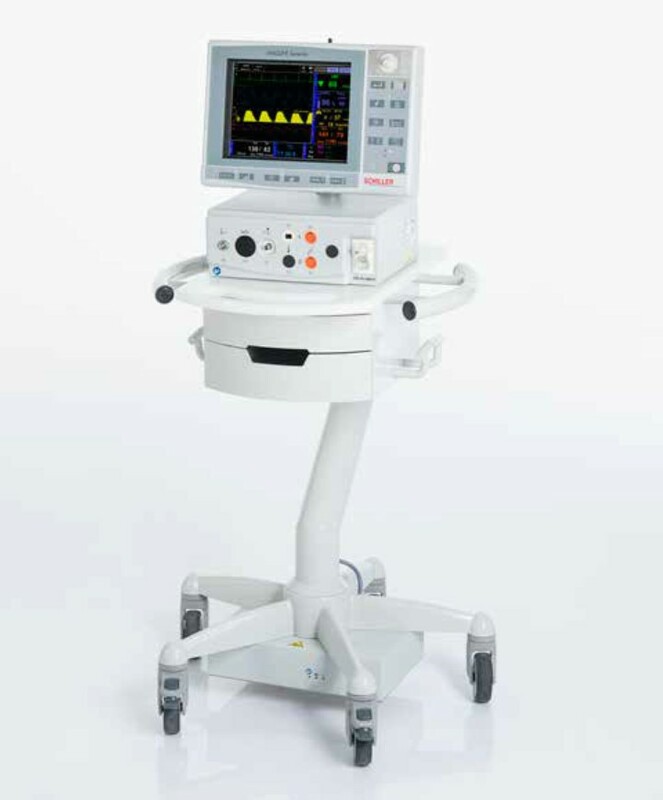 It has been developed for everyday use, but also to meet the highest requirements in anesthesia, cardiology and hemodynamics in an MRI environment. The optical measuring method permits an unrestricted and safe positioning of the temperature sensor, even in high-field MRI’s. The ease with which the MAGLIFE Serenity can be moved quickly to the patient or the MRI is a significant advantage. Moreover, operation via mains or battery gives additional mobility and flexibility. The MAGLIFE Serenity is based on the latest WLAN technology; therefore, the MAGLIFE Serenity and the display can communicate via optical fiber cable, Ethernet or WLAN. Either wireless or optically wired SpO2. The wireless solution provides total mobility around the MRI and reduces patient installation time. The built-in continuous magnetic stray field analyzers offer the highest safety. Alarms and shutdowns can be triggered at any time during operation and even when the device is switched off. Clearly visible color screens on the TFT monitor as well as on the display unit and easy-to-use software guarantee user-friendly operation. Easy and quick transport ensures ideal flexibility. The MAGLIFE Serenity can be placed on the MR compatible cart. The remote display unit gives total control over the main device. An interruption of the MRI examination is only necessary if required by the patient’s condition. Onsite training and setup is available.